WK8: Jimmy G! Astros Win! The Super Solis Bros. are back and in full effect! Apologies for the late pod. Rudy 3rd was traveling for the past couple weekends. 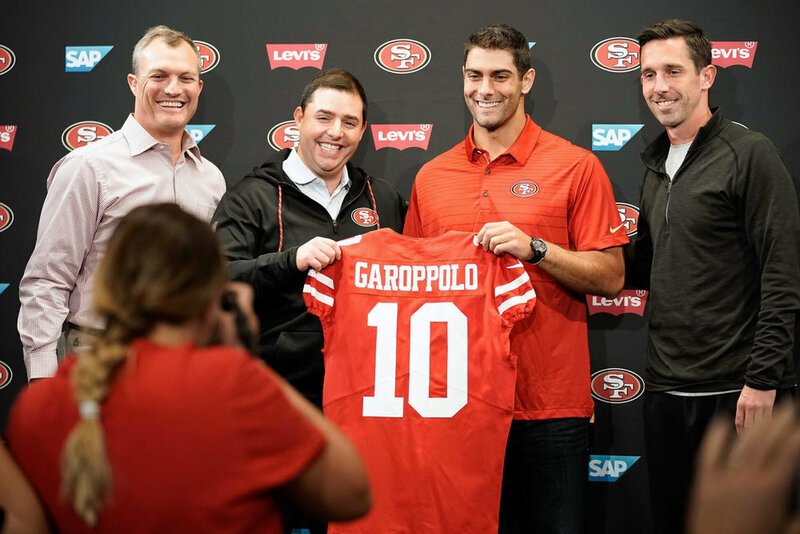 This week we cover the explosive news of the Jimmy Garoppolo trade and while it is exciting, the GoldCast Nation & 49ers Faithful cannot expect too much this year. We go into why that is a good thing and the possible ramifications of this going forward, including the draft. (00:00) We then spend the last ten minutes discussing the Game 7 of the World Series and the Dodgers loss/Astros win. Together we're GIANT! (21:00) As mentioned at the beginning of the pod, we had some issues during the baseball section. Apologies!